Abby, one of my oldest and dearest friends, recently had a beautiful baby girl. I wanted to get her and her hubby something unique and personal. I found a gift that ended up being not only a keepsake but a fun experience for baby , family…and me! I wanted to share my experience with the fantastic company , Memories Made so that TNL reader’s can keep them in mind when looking for special gift ideas. Memories Made is a local Toronto company owner and operated by Lisa, a formally trained life casting artist who specializes in baby castings, pregnancy castings, framed impressions, ornaments, name frames and even castings of a family pet. 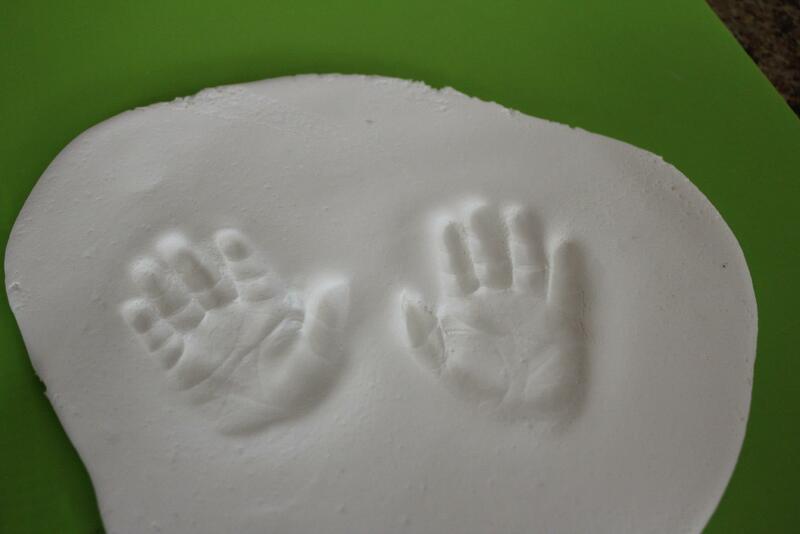 I purchased a single window memory box from Memories Made that would feature two castings of baby’s hands or feet. I thought this would be a really nice keepsake to put on the wall in the nursery. After paying for the gift, I received a personalized gift certificate with a picture of a Memory Box that I was able to gift Abby and her husband Ryan at their baby shower. When Abby and Ryan were ready to get baby Audrey’s Memory Box made, they contacted Lisa at Memories made. Lisa made an appointment for a home visit to complete the casting for the box. When Lisa arrived to do the casting, she began by putting a heating pad on her hands to warm them a bit before handling baby. She explained that to take the impression, she would be using a unique formula similar to what dentists use to take an impression of your teeth. It is completely non toxic. Abby and Ryan decided to get one foot casting, and one hand casting. So, Lisa poured the formula and proceeded to take impressions. How cute is baby Audrey?!? 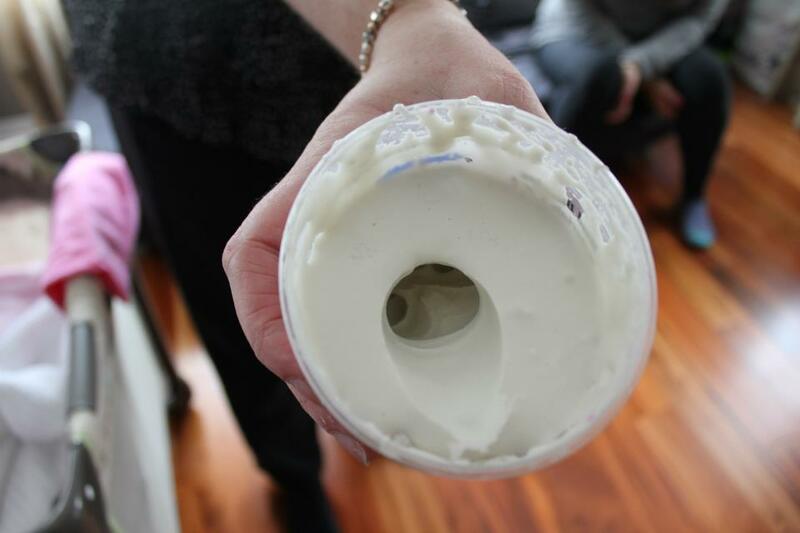 Lisa told us that the formula feels very warm and relaxing. You could say that Audrey had her very first spa hand treatment at 3 weeks old! 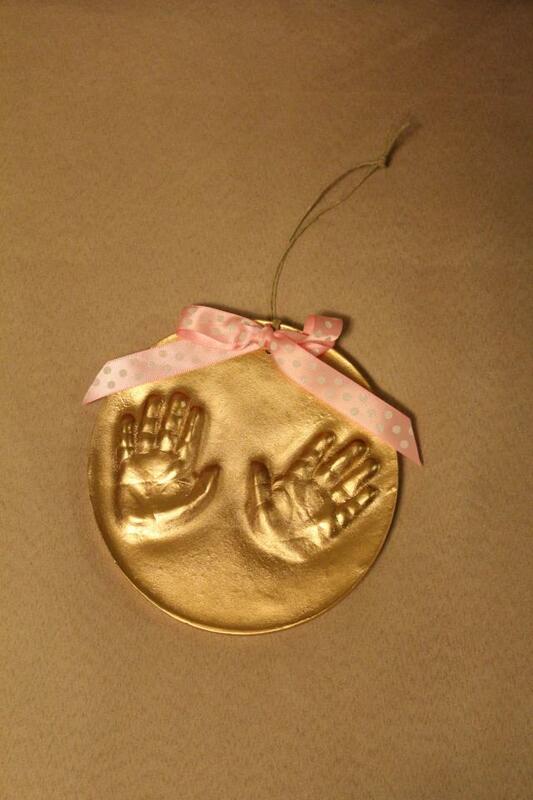 Lisa also took impressions of Audrey’s teeny hands to make an ornament. The entire process was very quick and Audrey did not fuss at all. Abby and Ryan were given a swatch book of colors to choose for their Memory Box, background, ornament and the castings themselves. They settled on pink with white for the memory box and gold for the ornament. In a few weeks, the box and ornament were ready for pickup. I would highly recommend Memories Made to anyone looking for a unique gift or keepsake. Check out their site for pricing. On the site you will see that they also offer much more than castings. Lots of personalized and engraved gifts are also available. I got a gift certificate from Lisa at Memories Made for my cousin and her husband when they had their first baby, and they also bought a shadow box with hand and foot castings. They loved it! I was also lucky enough to accompany Lisa to the session and it was really amazing to see the process. Lisa is so friendly such a pro. Definitely a unique and everlasting gift idea. Lisa is fantastic. Thanks for your comment , Seph! I will definitely keep this in mind for my ever expanding family tree. Thanks Ashley! Thanks for reading , Tania!